I was on a five mile easy run today and all I can say was that it was joyful. No time expectations, I didn't look at my watch. I just enjoyed soaking up the sunshine and feeling my legs move. Sunday I had a wonderful 10 mile run with an amazing sunset. Every sunrise and sunset is pretty amazing! I started planning my Christmas list and mentally building on my general to do list (does it ever end?!) during my run today. I even thought about something that made me laugh out loud. So there I was on the road, laughing and running. 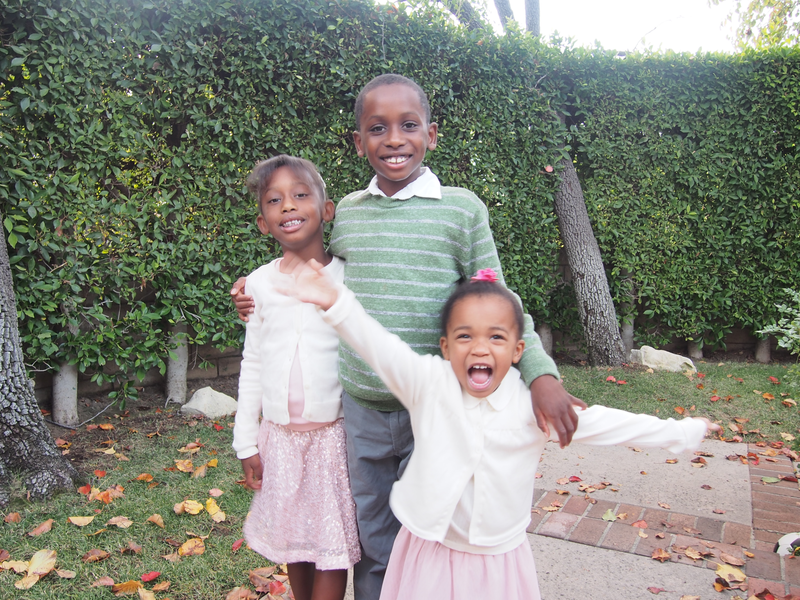 I love it when I feel as happy as my kids! This is one of the many reasons why I run. It makes me happy. It brings me joy. 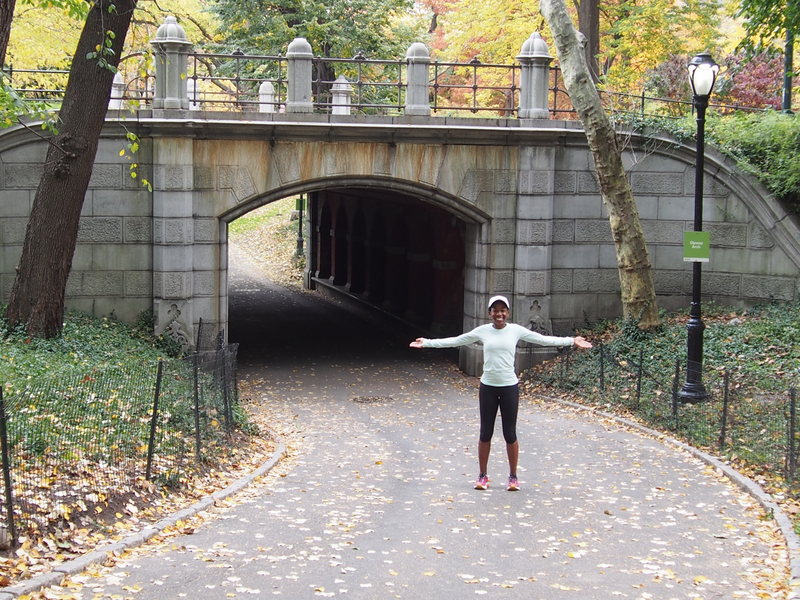 Here are some wonderful ways to find YOUR joy in running. 2. Run without a watch. I know it's hard to let go of our GPS watches, but it can be such a freeing experience. If you must wear it, cover it with your sleeve. 3. Pick out 5 elements of nature on your run. A beautiful tree with golden leaves, a bright flower, look up and notice the cloud formations, actually notice a bird chirping, embrace the wind! Running in nature is pretty amazing! Exploring nature and having fun in NYC! 4. Think about future running goals. It's so nice to think about what you'd like to accomplish with your running and have plenty of time to get it done. Whether it's running your first 5K or 50K, it can be nice to go on a relaxing run and think about your goals. 5. Run with a friend! I was giggling by myself today and at one point I thought about how much fun it would be to run with a friend. Friends can make running so FUN! 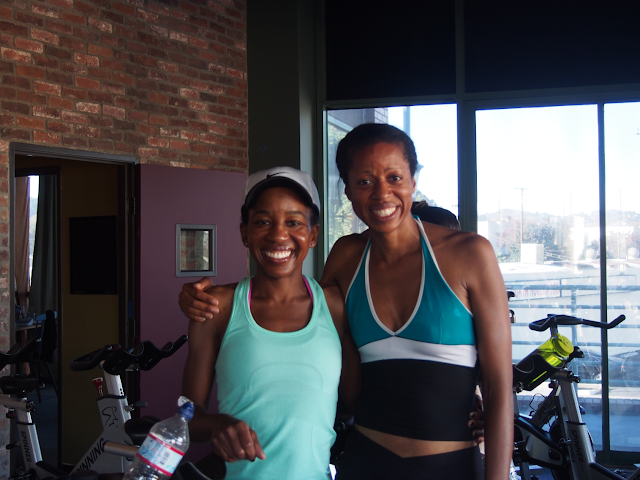 The day before Thanksgiving, I was able to take a spinning class with my dear friend Jessica. Jess and I ran cross country together in high school. I remember going on long runs together and howling with laughter at a funny story. One of things that I love about Jessica is how fun she is! She is also an amazingly talented runner that went on to run at UCLA. 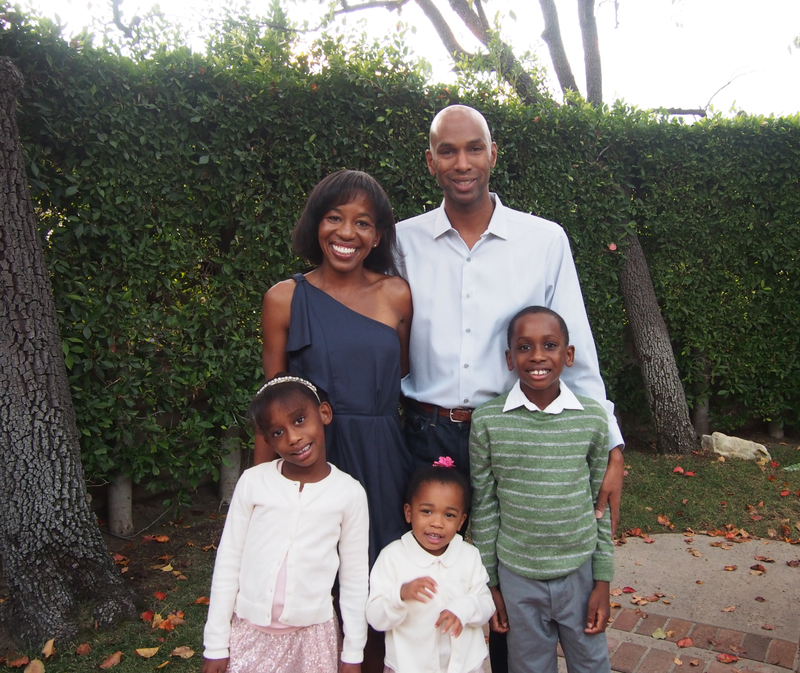 She doesn't run these days (she's just a super smart professor at UC San Diego! ---> yep, I'm a proud friend! ), but loves to spin! I am so thankful for her years of friendship! 6. Running with zero expectations. Who cares if you run slow or fast, 2 miles or 10 miles. At the end of the day - you are out there moving your body!! I hope you all had an amazing Thanksgiving!! I am thankful to have this blog, for my readers and for all the wonderful people I have met so far on this journey. 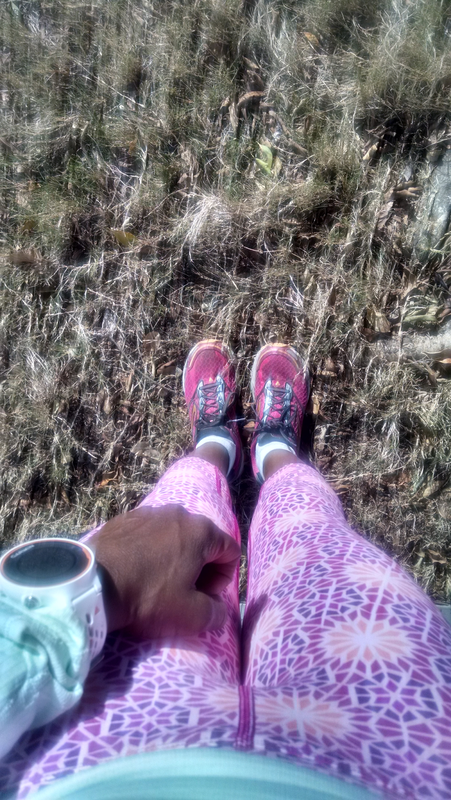 How do you find the joy in your running? Do you normally run alone or with a friend?